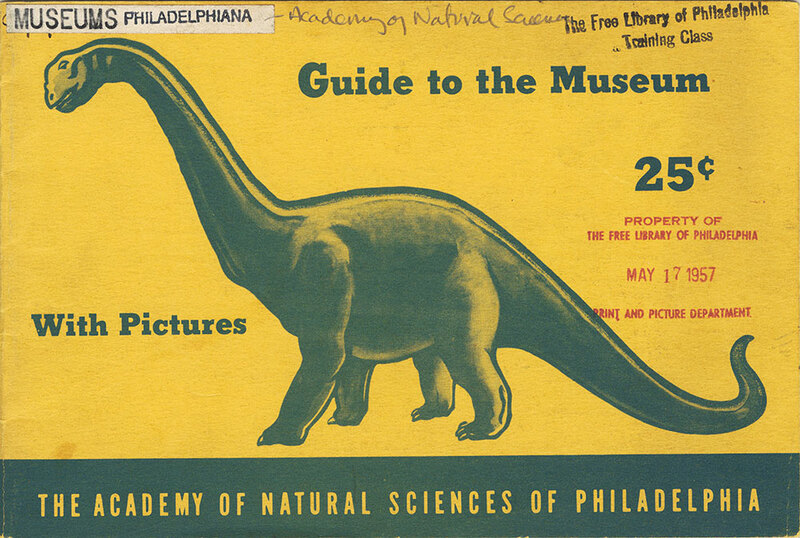 This is a photgraph of the cover of the Academy of Natural Sciences of Philadelphia's "Guide to the Museum," from ca. 1950. The Academy was founded in 1812, and after four prior locations, moved in 1876 to its permanent home at 19th & Benjamin Franklin Parkway.